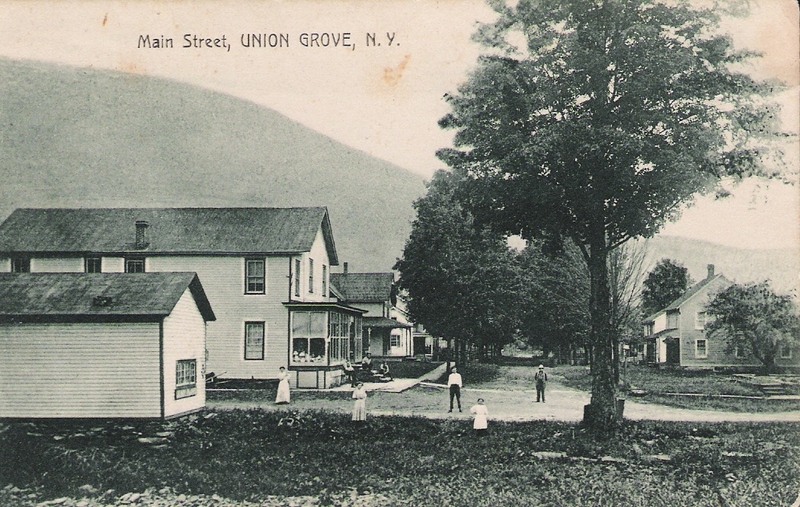 Main Street, Union Grove, NY, postcard mailed Dec 1918. 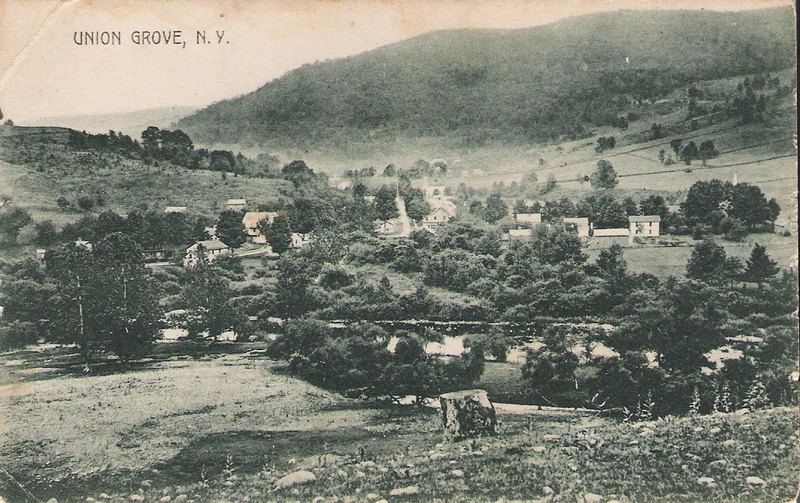 When people ask where I was born, I reply, “At home in Shavertown, NY”, and then I have to add that they won’t find that small village on a NYS map. It and three other Delaware River Valley villages are now covered with 150,000,000,000 gallons of water in a man-made, 18 mile long, lake known as the Downsville-Pepacton Reservoir. 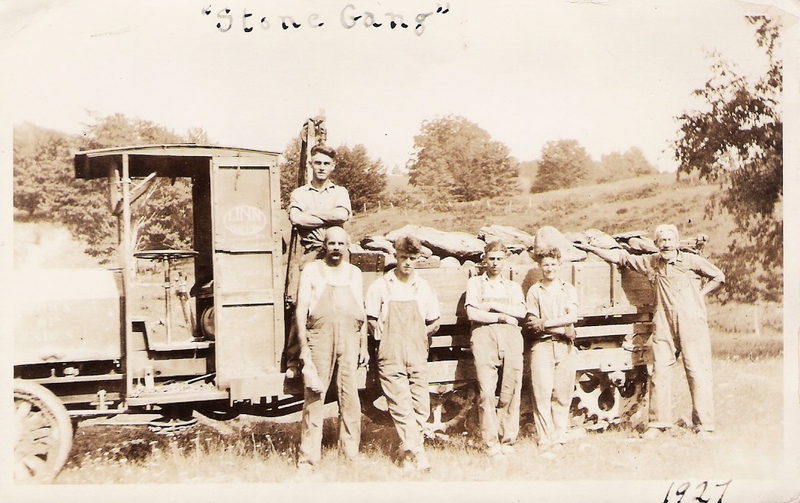 “How was that ever allowed to happen”, they ask, and I answer that there are still many descendants of those lost villages’ residents that ask the same question. 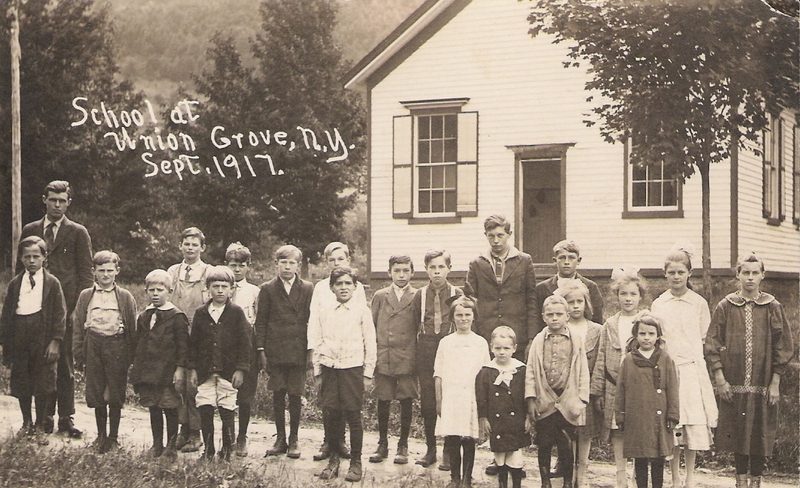 School at Union Grove, NY, Sept. 1917; postcard, written on back, Sam Gray, Teacher; Elsie and Ethel Brower are the twin girls with plaid coats and large white bows in their hair; their brother, Anthony E. Brower is the boy standing under the window with the suit and knickers on. 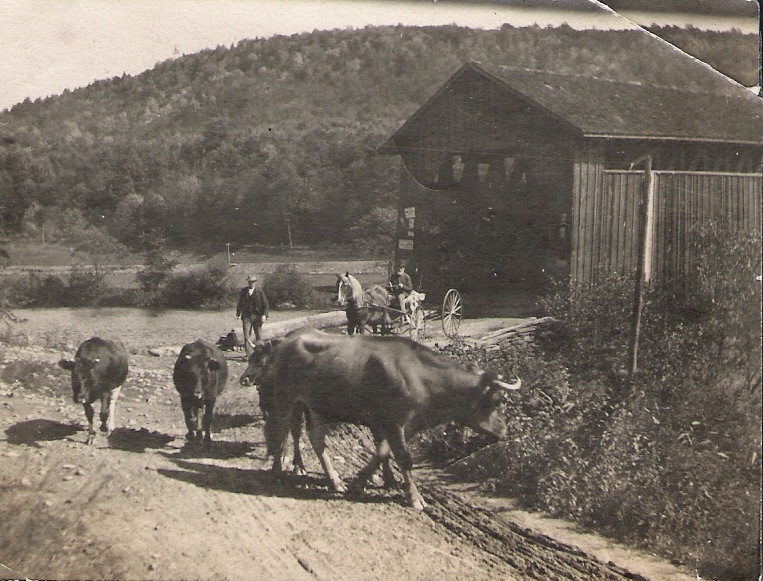 Aren’t these the towns that were buried by the NYC reservoir (Pepacton)?